There are three user friendly website builder services that not only allows you to create any kind of website in minutes but also provides you with a free domain name. Suppose if you want a blog, dynamic website or any website with all those features you dream then you may go for WordPress Hosting. If you want a beautiful static website for your business, portfolio, project, resume etc then you may go for Website Builder. And third, service Quick Shopping Cart allows you to build e-Commerce web stores for selling things online. 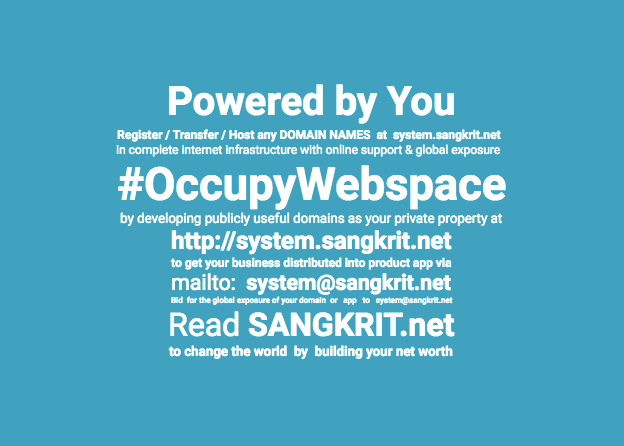 SANGKRIT.net provides its users a FREE DOMAIN NAME (One FREE .COM, .CO, .NET or .ORG). In this tutorial we will show you how to get a completely free domain name of your choice with purchase of a web-hosting, website builder or quick shopping cart. The only thing to keep in mind is to first add both hosting and domain to your cart with 12, 24 or 36 month plan. As soon you add hosting and domain to your cart, the domain will become free.